Jeanette Lynes holds a doctorate in English Literature and is the author of five prize-winning collections of poetry. 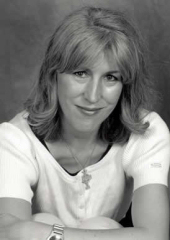 She co-edits The Antigonish Review and teaches English at St. Francis Xavier University in Antigonish, Nova Scotia. 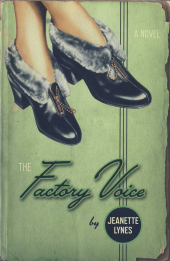 The Factory Voice is her first novel, and she is currently working on a second. It’s 1941 and World War II is raging. At a military aircraft factory in northwestern Ontario, and in a POW camp nearby, mysterious events are endangering lives. A prisoner has escaped, putting the community on edge. Against this backdrop, the desires, the dreams, and the changing lives of four strong, engaging women who work at the factory play out. The most recent arrival is a famous female aeronautical engineer, a character inspired by a true story. In language rich with the idiom and imagery of the time, Jeanette Lynes tells an entertaining, fast-paced story of ambition, friendship, loyalty, love, and betrayal.